Bitcoinx » News » Will 2018 Be The Year Of The State-Sponsored Cryptocurrency? Will 2018 Be The Year Of The State-Sponsored Cryptocurrency? Posted by Steve Shanafelt at January 3, 2018 in Finance, News Comments Off on Will 2018 Be The Year Of The State-Sponsored Cryptocurrency? This time last year, the idea of any national government considering the possibility of creating its own cryptocurrency would have been laughable. Times have definitely changed. This week, both Russia and the UK made it clear that they’re at least giving the concept of a state-backed cryptocurrency serious thought. The idea of state-sponsored crypto isn’t new. Both Venezuela and Estonia have announced plans to launch digital currencies in the near future, although both are relatively small initiatives on the global scale of state finance. A major economic player like Russia or the UK testing out a state-back crypto, however, could represent a major shift in economic thinking. Speaking to a government panel earlier this week, Russian economic adviser Sergei Glazev said that preliminary work on the so-called “cryptorouble” was already underway. Glazev, who has served as a senior advisor to Russian President Vladimir Putin since 2012, suggested that the new cryptocurrency could be a valuable tool for circumventing international sanctions, a situation regularly faced by Russia’s government and businesses. It’s not clear how far along the cryptorouble concept is, how similar it would be in practice to common cryptos, or even if it has support outside Putin’s inner circle. Russian lawmakers and regulators have greatly softened their stance on cryptocurrencies in the past year, but there’s a huge difference between allowing such projects to exist within the country and actively supporting them. Thus far, Russia’s central bank has yet to comment on the topic. 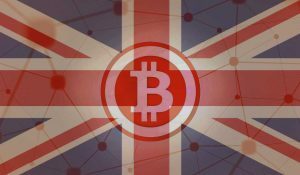 The Bank of England (BoE), however, has been surprisingly forthcoming about their research into a state-sponsored cryptocurrency. On Tuesday, The Telegraph reported that the BoE has been actively researching the concept since 2015, and may even launch the new token (at least in some capacity) later this year. Unlike typical cryptocurrencies, however, these coins would be linked directly to the pound sterling, and fully controlled by the BoE. There is also speculation that the BoE might opt to directly handle customer accounts for the new cryptocurrency, rather than relegating that task to retail banks. Major transactions — such as buying a house — could be settled between BoE customers in seconds, rather than the slow, cumbersome process currently required for inter-bank settlements. This would also give the BoE far more control over access to the new digital currency, and would almost certainly require strict anti-fraud, anti-money laundering, and know-your-customer screenings. That said, people looking to invest in BoE tokens or cryptoroubles may be waiting for some time. While these projects are definitely in the works, these are government-level, macro-economic experiments that will require multiple levels of testing, debate, and regulation before they ever see the light of day. Given the overall skepticism most government officials and financial regulators have about cryptocurrencies in general, it’s unlikely we’ll see any tangible results from these projects for at least a few more years.